The U.S. Peace Council (USPC), affiliated with the World Peace Council, condemns violence and murder at the hands of vanquished opponents of recently elected Venezuelan President Nicolas Maduro. Defeated presidential candidate Henrique Capriles, a leader of the center-right Justice First Party, distinguished himself as a high profile participant in the unsuccessful military – media coup directed at President Hugo Chavez in April 2002. At the time, Capriles led a group of thugs that forcibly occupied the Cuban Embassy in Caracas. Now his backers seek to destabilize a government that, under President Hugo Chavez, used income from massive oil resources to promote the dignity of all Venezuelans and led in building continent-wide unity. Encouraged by the death of President Chavez, they and Venezuela’s imperialist enemies see the Caracas government as vulnerable. If history is any indication, the U. S. government is heavily involved. 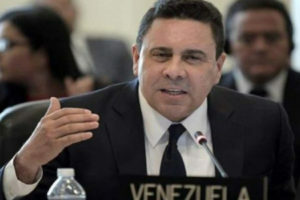 The USPC notes Washington’s complicity in the failed 2002 right wing coup, U. S. encouragement of work stoppages and sabotage against Venezuela’s oil industry later that year, tens of millions of U.S. dollars handed over to anti-Chavez political groups over many years – including the Justice First Party – and a barrage recently of U.S. and European right wing media attacks on Maduro’s presidential candidacy. Now U.S. refusal to acknowledge President Maduro’s election victory encourages murder and mayhem at the hands of criminal elements. Hundreds of international observers were on hand during the voting. They and governments in Latin America recognize that Maduro’s election victory on April 14, 2013 is beyond question. 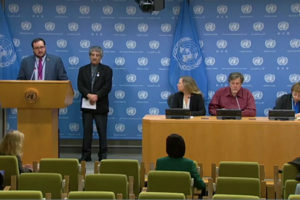 Carter Center experience in Venezuela prompted spokesperson Jimmie Carter, the former U.S. President, to say in 2012 that, “of the 92 elections that we’ve monitored … the election process in Venezuela is the best in the world.” The USPC regards U.S. insistence on a recount of all ballots as interfering in the affairs of a sovereign nation. 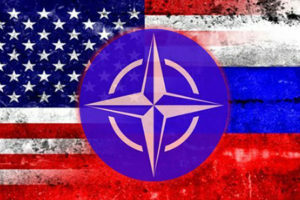 And the hypocrisy of U.S. imperialists is clear: their own history is replete with instances of election irregularities and of winning margins slimmer than that achieved by President Maduro. The USPC joins the growing worldwide campaign calling upon the U.S. government to recognize Nicolas Maduro as Venezuela’s president. Additionally, the USPC demands an end to U.S. financing and support for those political actors in Venezuela favored by the U.S. government. Lastly, we reiterate our commitment to peoples’ movements in both Latin America and the Caribbean dedicated to integration, social justice, and anti-imperialism, for which Venezuela serves as catalyst. 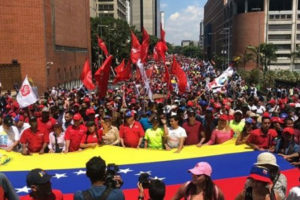 I am from Vancouver,Canada and I wanted to say that the news media here in Canada reported on the opposition march in Caracas but never mentioned the hundreds of thousands of people in Venezuela who took to the streets in support of President maduro.This reactionary reporting should be condemned. President Maduro got the support of not only the working class in Venezuela but the majority of people in the world.President Maduro will win this battle against the Opposition in Venezuela and US Imperialism.